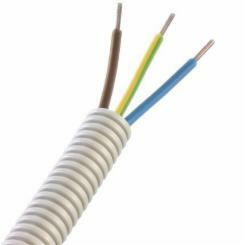 Welcome to the website of the Ecodesign Preparatory Study on Power Cables (ENTR Lot 8). This study provided the European Commission with a technical, environmental and economic analysis of power cables as required under Article 15 of the Ecodesign Directive 2009/125/EC. The study is carried out on behalf of the European Commission, DG Enterprise under specific contract n°185/PP/ENT/IMA/12/1110333 implementing the Framework Contract No FWC Bl/ENTR/29/PP/2010/FC LOT 2. The study started in June 2013 and was finalised in May 2015. Reports issued for this study are available on the 'Documents' section of this website.